Use seasonal color to create an elegant new look with a palette of burgundy, bright green and white. Arrange miniature deep green conifers around a trio of taller lime green ones in a low taupe bowl. 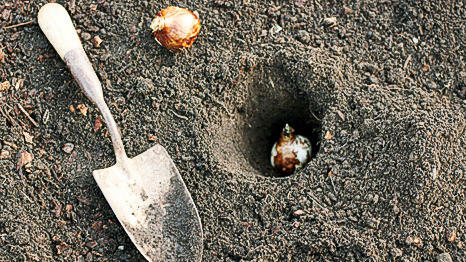 After the holidays, plant them in garden beds. Make patio chairs more inviting with seat cushions and pillows covered in outdoor fabrics to match the flowers. White fabric picks up on the border's white blooms, adding to the garden's serene palette. Supplement existing plants, such as the azaleas and ferns pictured above, with an edging of white cyclamen. 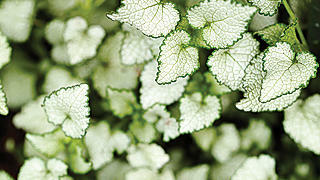 Tuck lamium or a similar variegated plant between the cyclamen to add a lacy skirt of frosty-looking greenery. 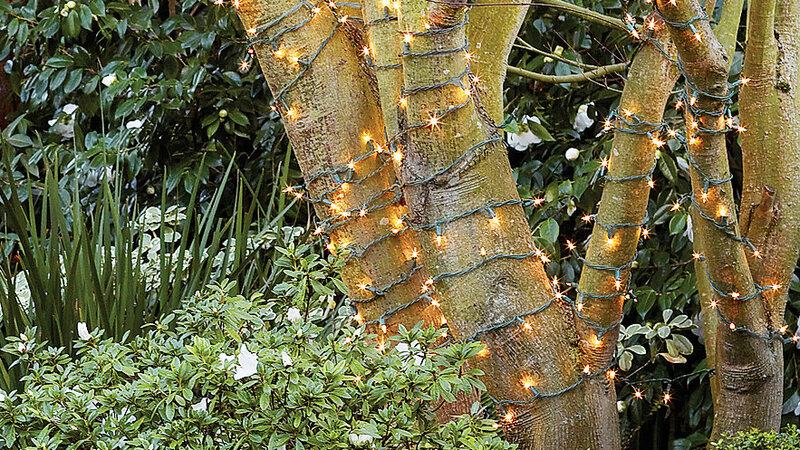 For a soft glow at night, wrap tree trunks and branches with strands of white lights. 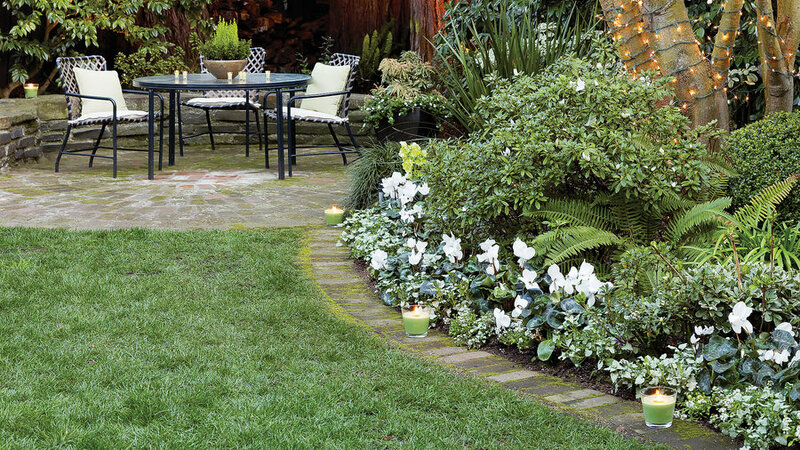 Define borders by placing small candles in glass holders along mow strips, walls, and walkways. Enhance narrow in-ground beds with a row of potted plants. 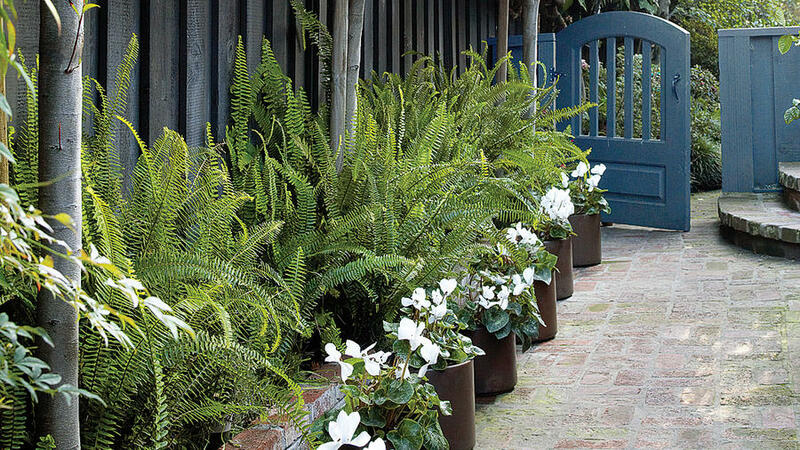 In the small, shaded side yard at right, cylindrical chocolate brown pots filled with white cyclamen line up against the raised border's low brick wall, making the fern-filled planting appear deeper than it is. Flank the entry with potted plants. Fountainlike burgundy cordyline plays off white cyclamen and plum 'Palace Purple' heuchera in bowls atop brick pillars. 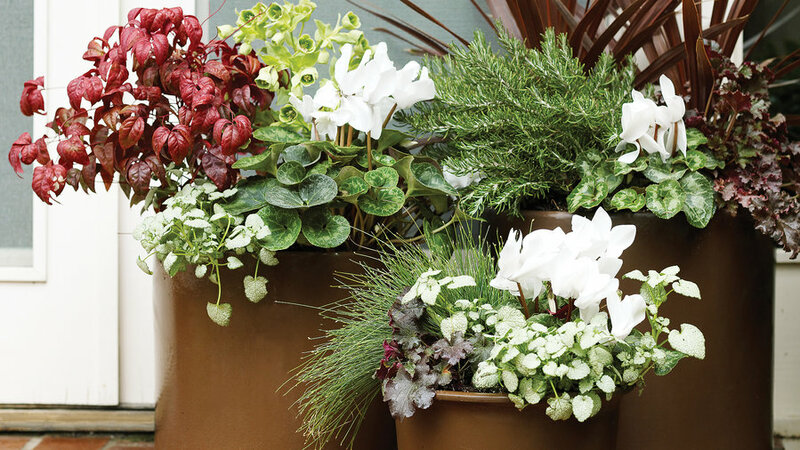 The pot at the base contains white cyclamen, lamium, and red nandina. 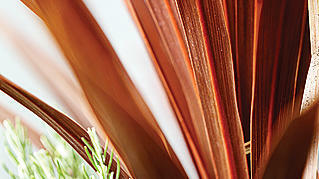 To welcome family and friends, hang an evergreen wreath from a ribbon that coordinates with the flowers and foliage. 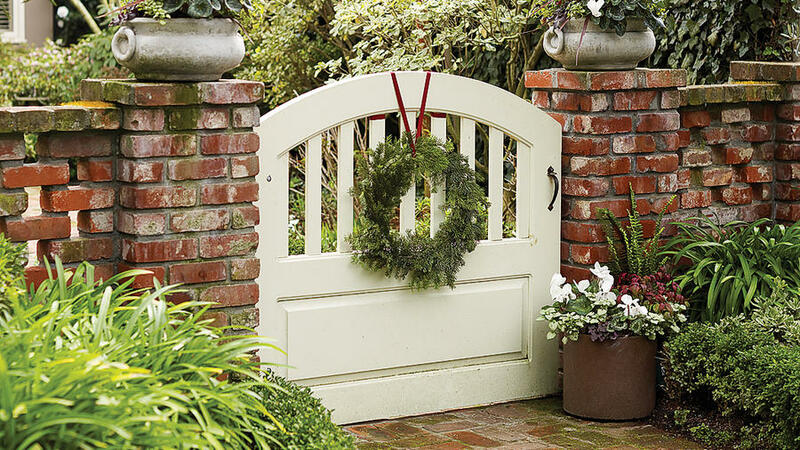 Tie the ribbon to a gate, or hang several wreaths at different heights from tree branches. Dress a doorstep with containers. The pots pictured at right, of different sizes but the same color, contain plants in shades that echo the garden's overall scheme. In the smallest pot, fiber optics plant mixes with heuchera, lamium, and cyclamen. In the one at left, nandina pops against lamium, cyclamen, and hellebore. The tallest pot holds fine-leafed rosemary, cordyline, cyclamen, and heuchera. 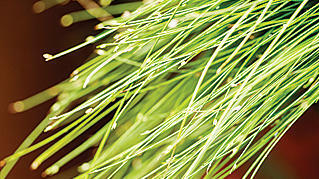 Fiber optics plant (Isolepis cernua) Grassy, threadlike stems are topped nearly all year with tiny brown flowers that give the plant its fiber-optic appearance. It grows 6 to 10 inches tall and prefers partial shade. Silvery leaves edged in green make this low-growing perennial (to 8 inches tall) a choice ground--cover because it lights up shaded beds. White flowers appear in spring and summer. 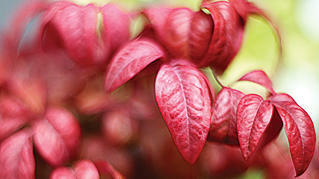 Clumps of strappy plum-red leaves add drama to beds and pots. Leaves of young plants reach 3 feet long. With time, the plant can grow to tree size. It likes full sun. 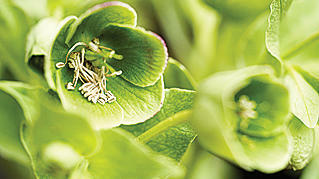 Delicately branched shrubs top out at 2 feet tall and wide, making this variety perfect for pots. Its foliage is touched by red all year and turns crimson in winter. In winter, tubers send up flowers resembling birds in flight. 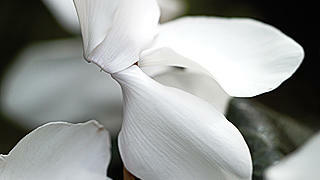 Florists' cyclamen range from lavender to red. 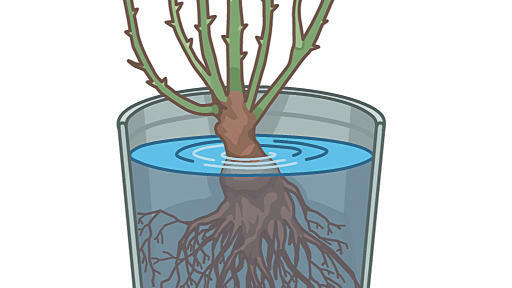 The plant grows 8 to 10 inches tall, prefers light shade, and goes dormant in summer. Flowers usually shaped like cups or bells come in lime, pink, and plum. The winter-blooming perennial thrives in light shade, reaching 1 foot to 3 feet, depending on variety. It's pretty when massed under trees. This season is prime planting time. Learn how in three easy steps. Discover how to protect your plants from cold temperatures with our easy video tutorial. 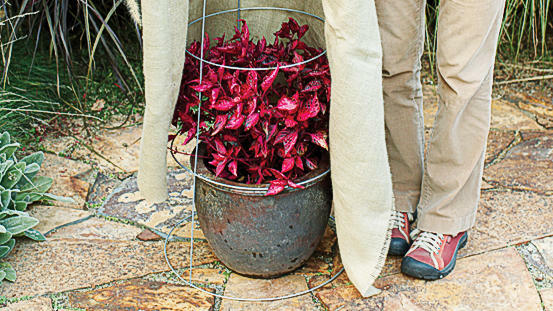 Drape fabric around tender plants when the forecast calls for frost. 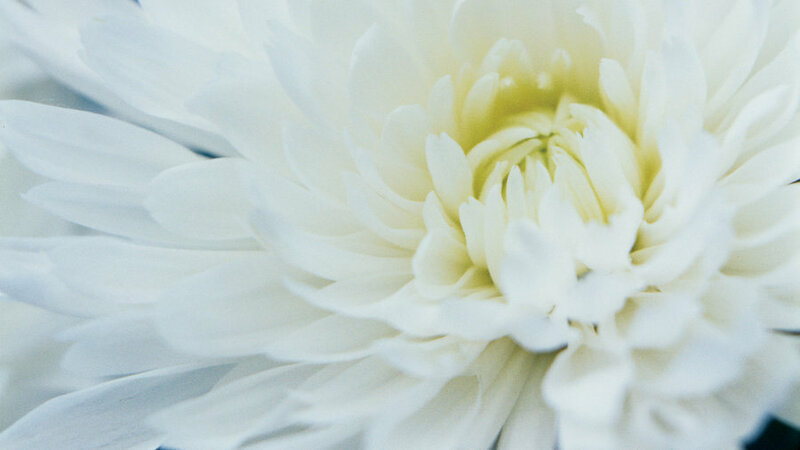 Brighten your garden with white flowers and frosty foliage. 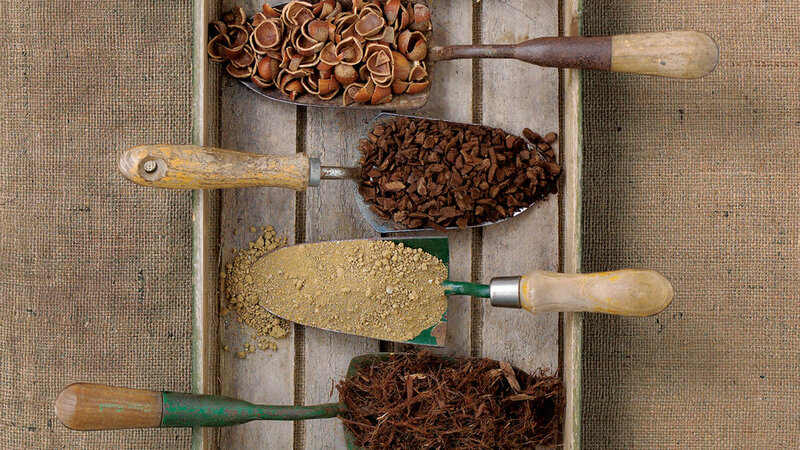 In milder climates, you can continue paving the way for flowers.